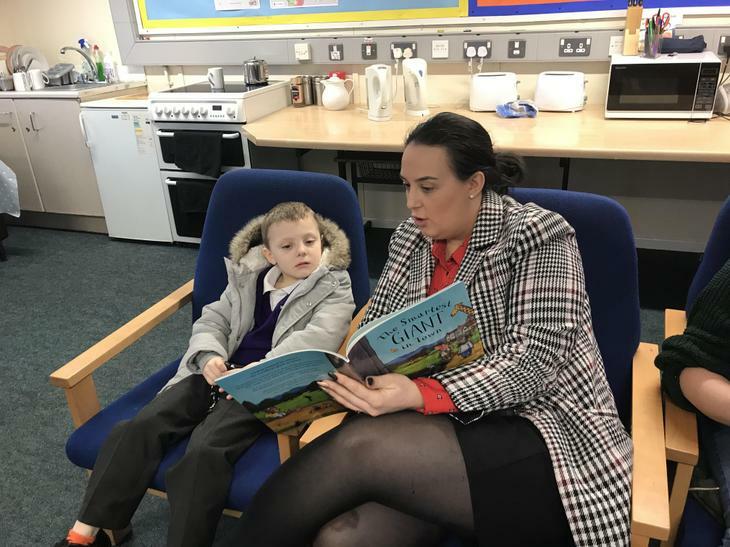 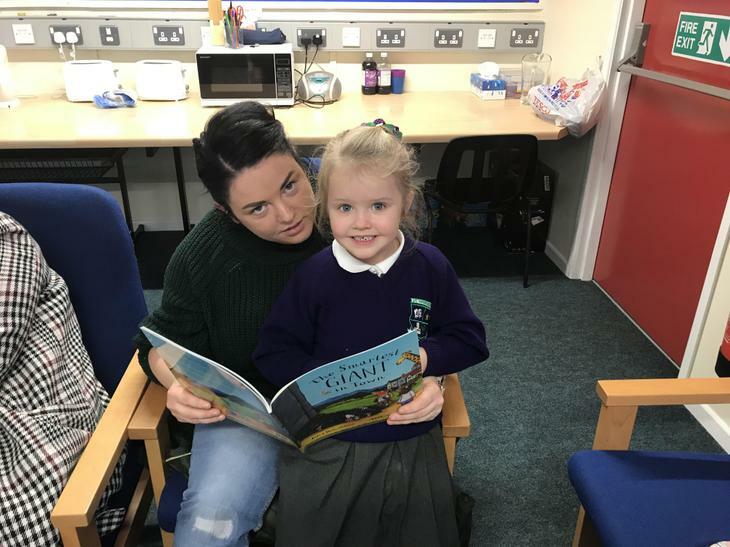 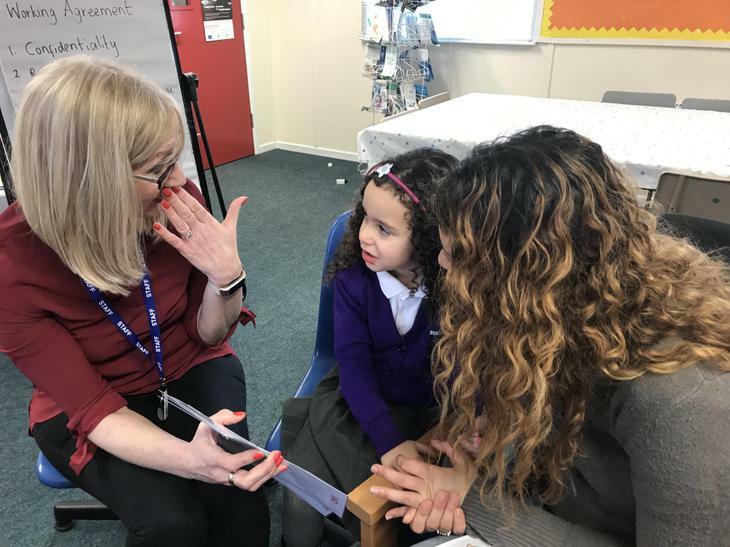 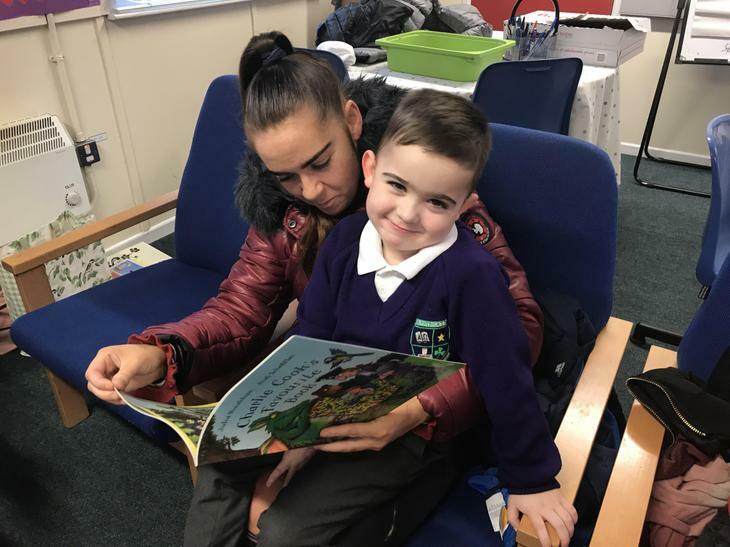 The aim of the cluster is to promote a shared partnership between the schools, parents and community, supporting them in the process of life long learning. 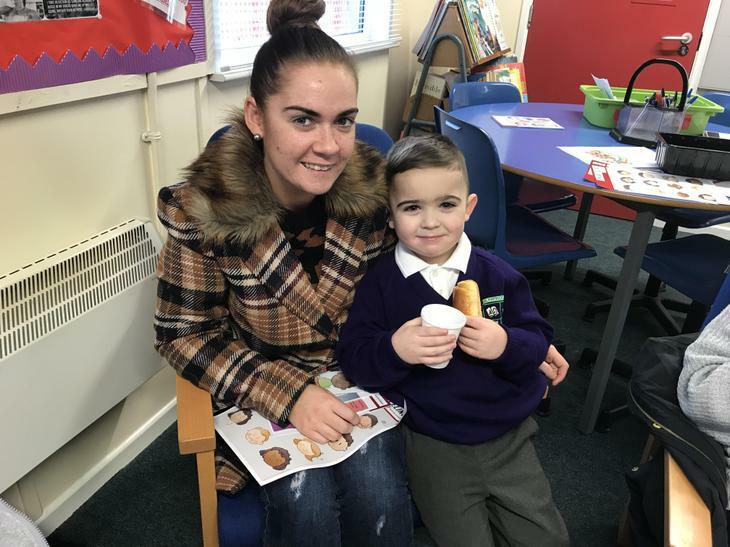 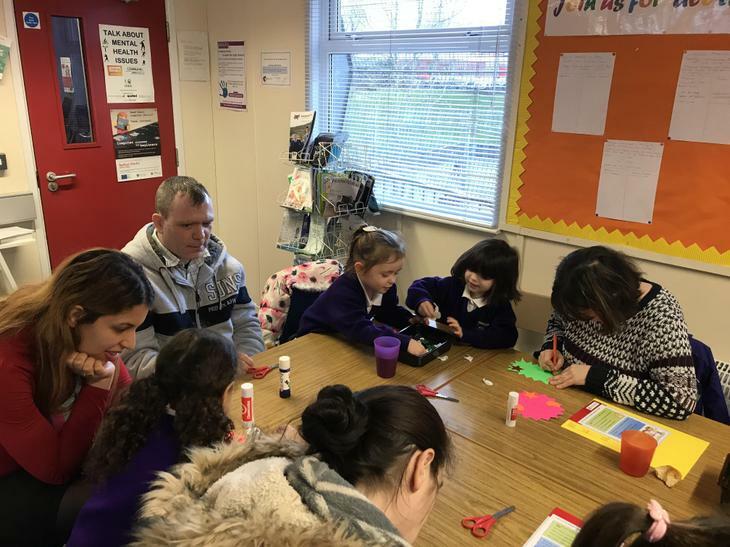 The dedicated parents’ room is an important resource in our community as it provides an opportunity for parents to get to know each other, have fun, get more involved in the school and attend courses. 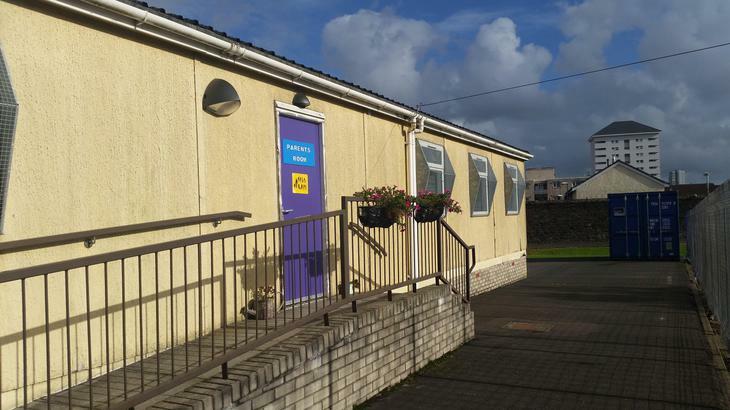 We have a variety of courses and events to cater for everyone. 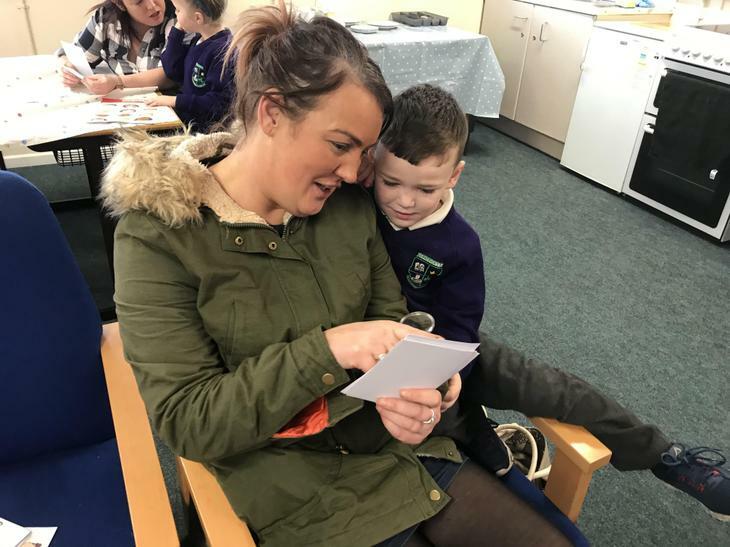 Many of our parents have gained employment by coming along to enhance their skills. 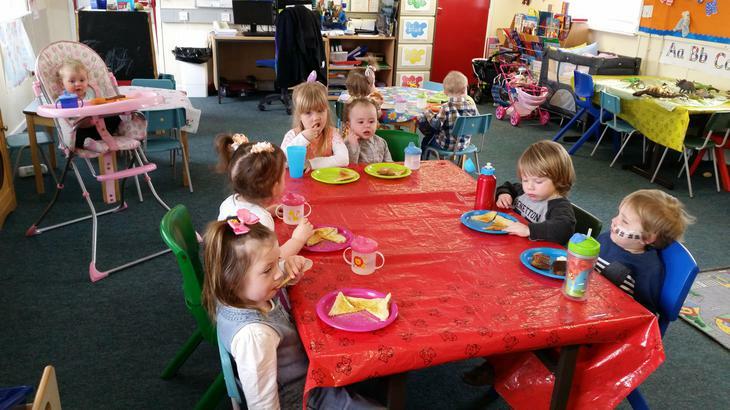 All classes provide FREE CHILDCARE in crèche. 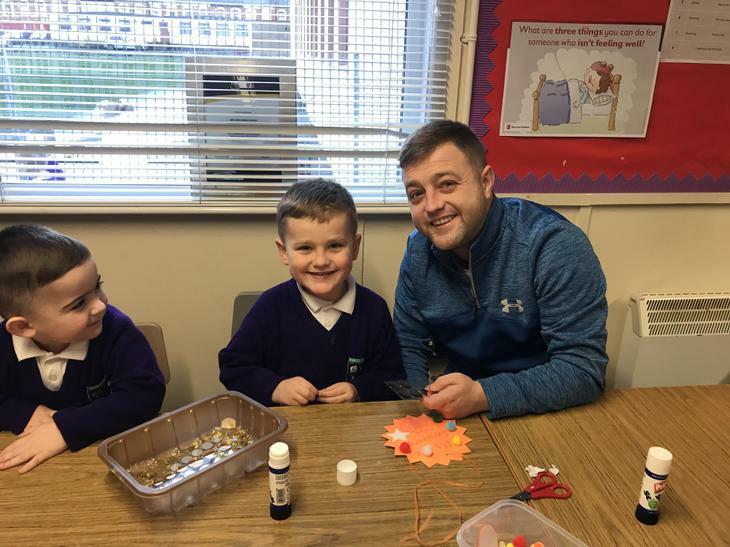 Contact our parent support office- Katy Hubberstay (02890 351206/ 02890 351478) for more information. 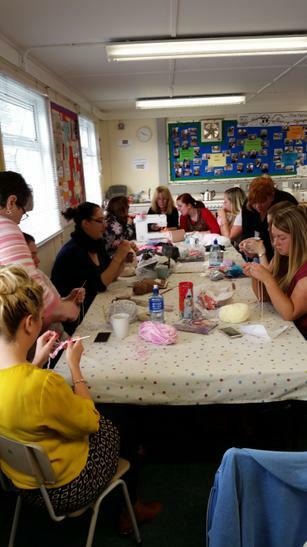 Crochet, Cookery, Linguistic Phonics, Easter Crafts, Parent and Child Crafts and Personal Development. 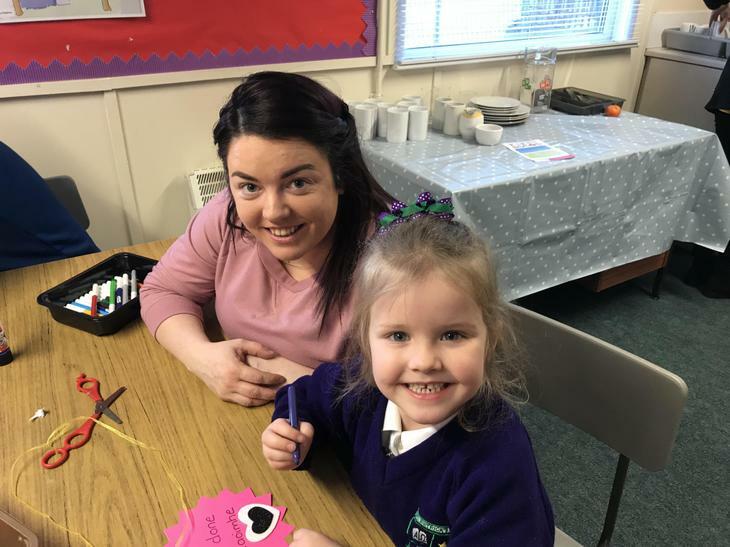 Contact Katy for more information (02890351478) or call into the parents room. 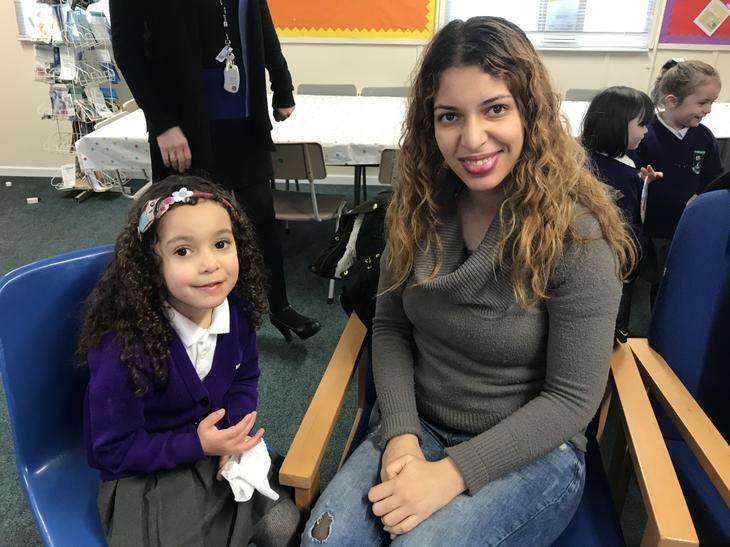 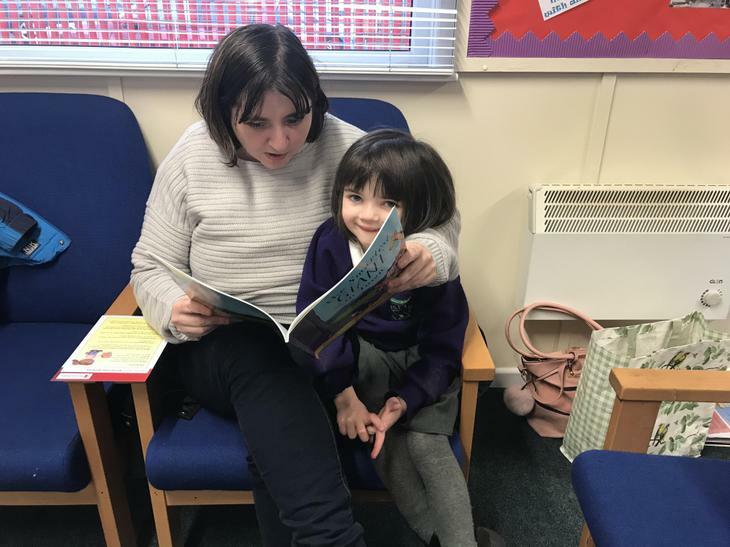 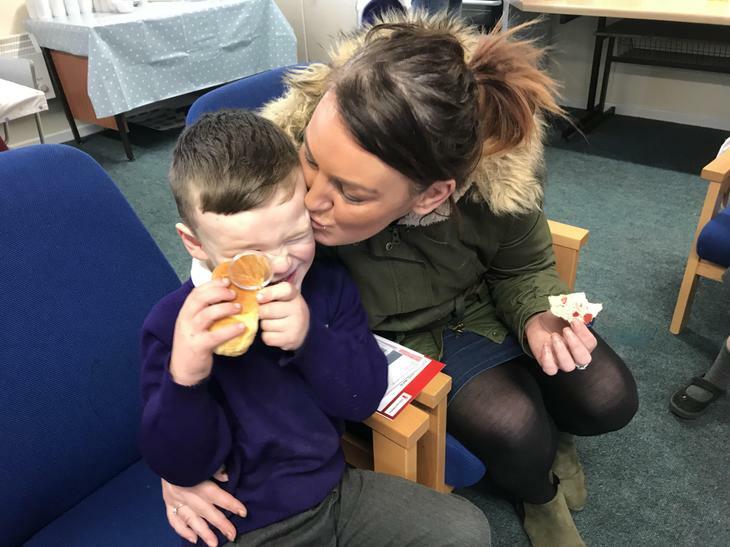 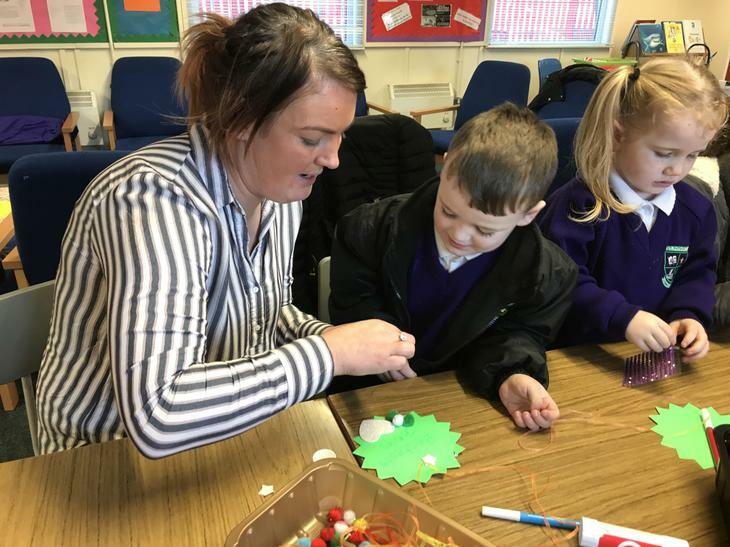 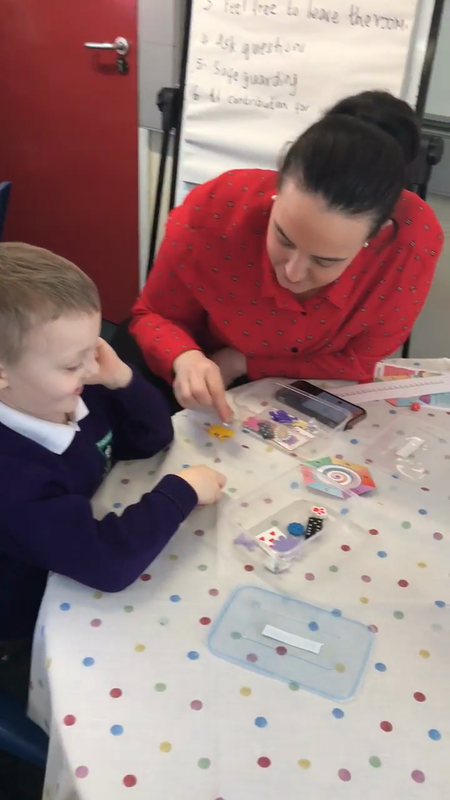 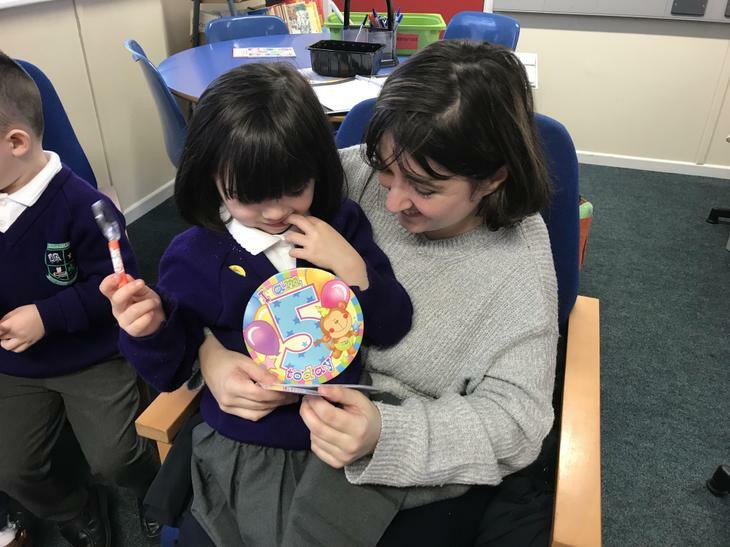 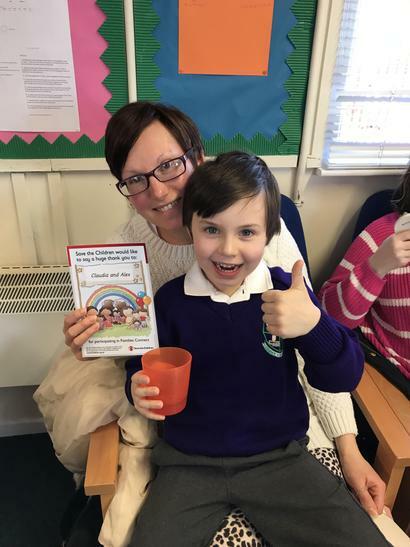 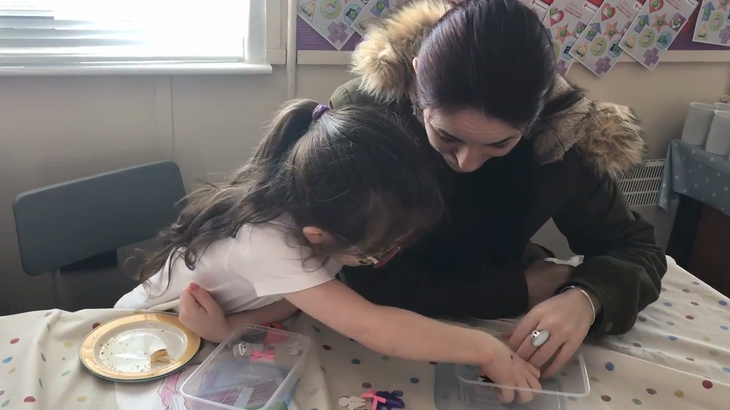 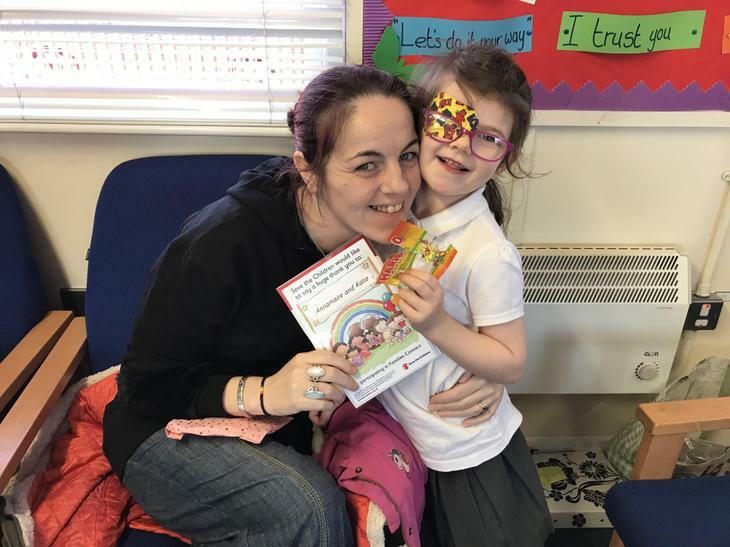 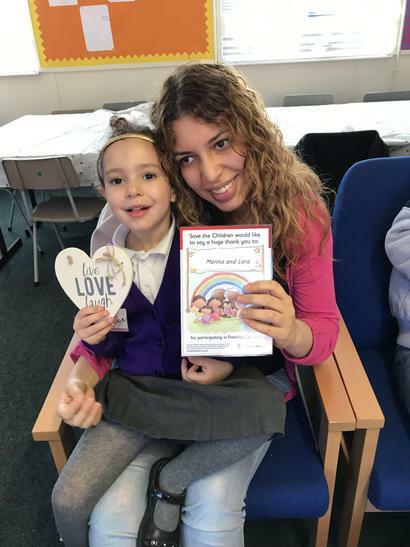 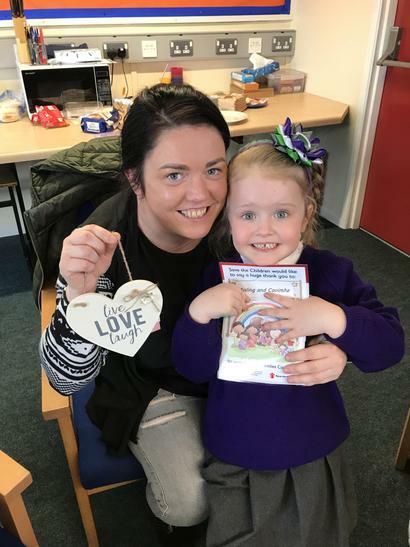 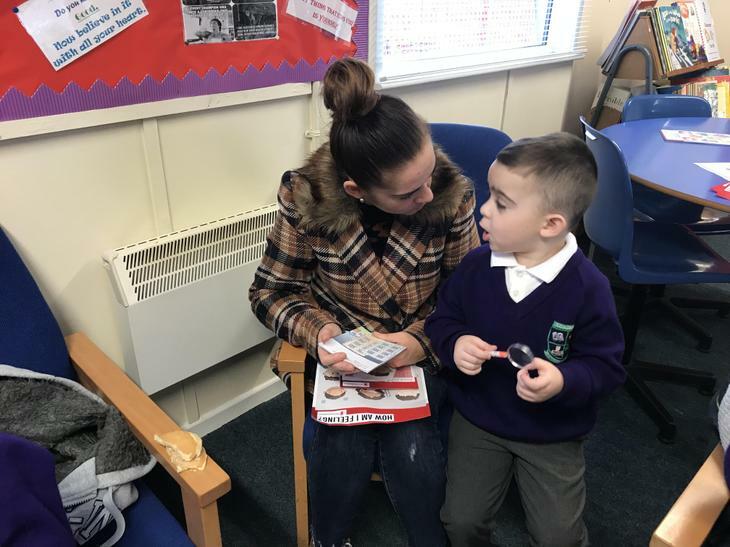 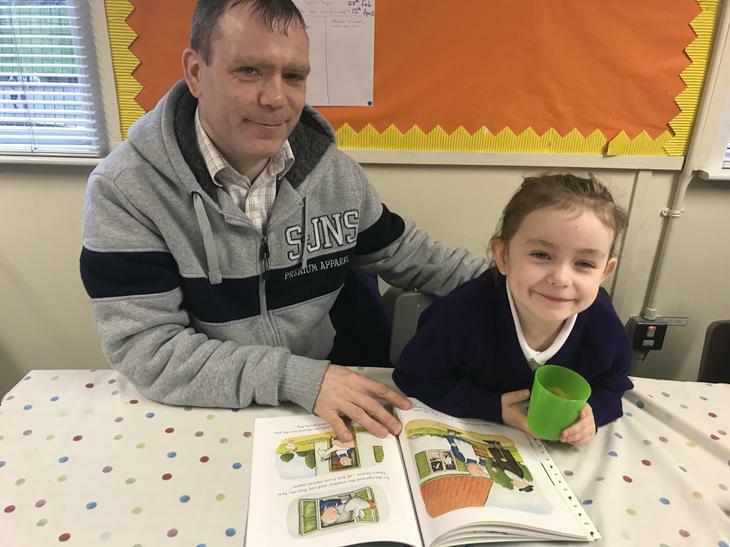 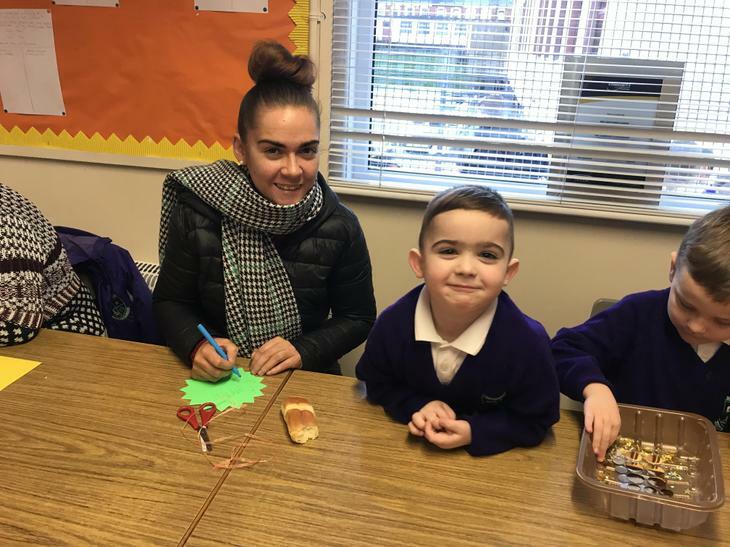 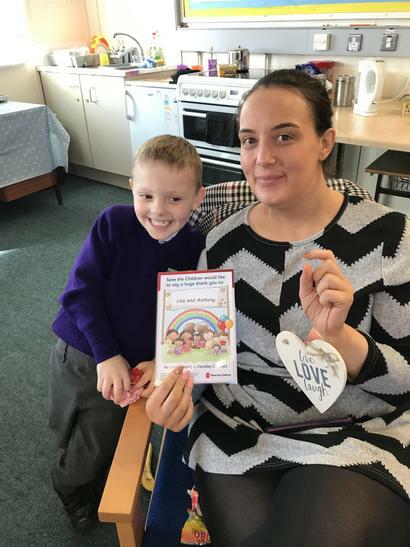 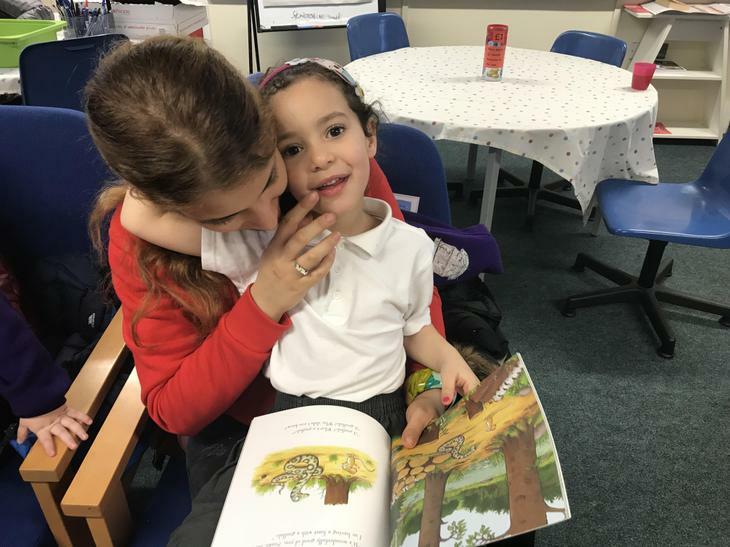 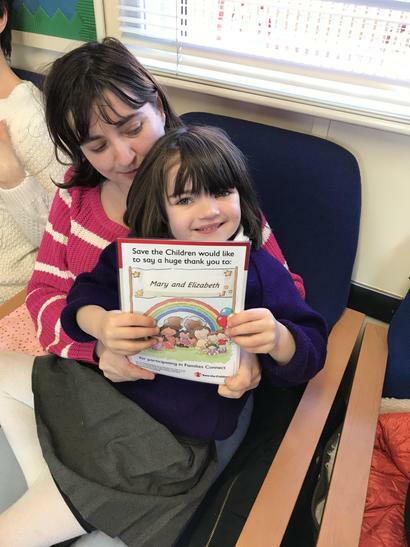 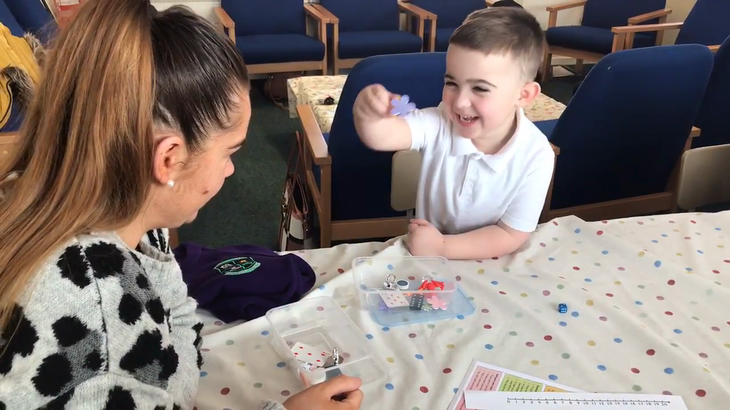 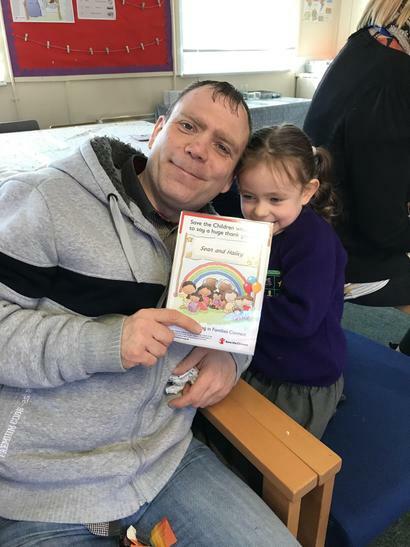 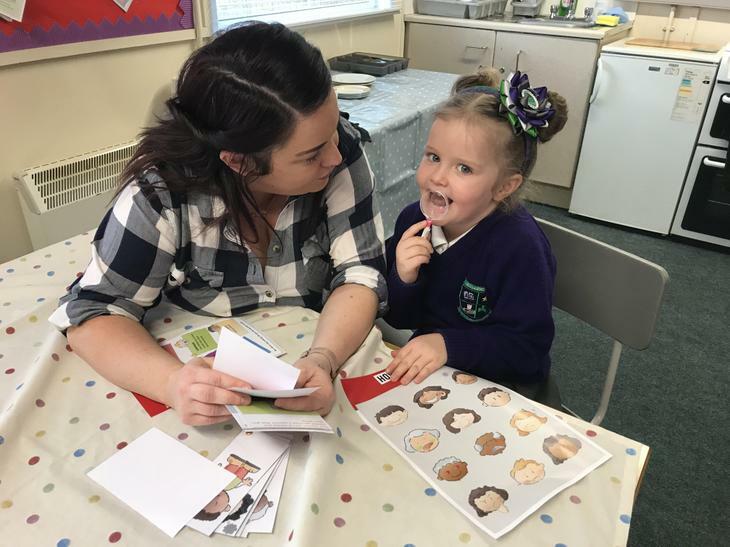 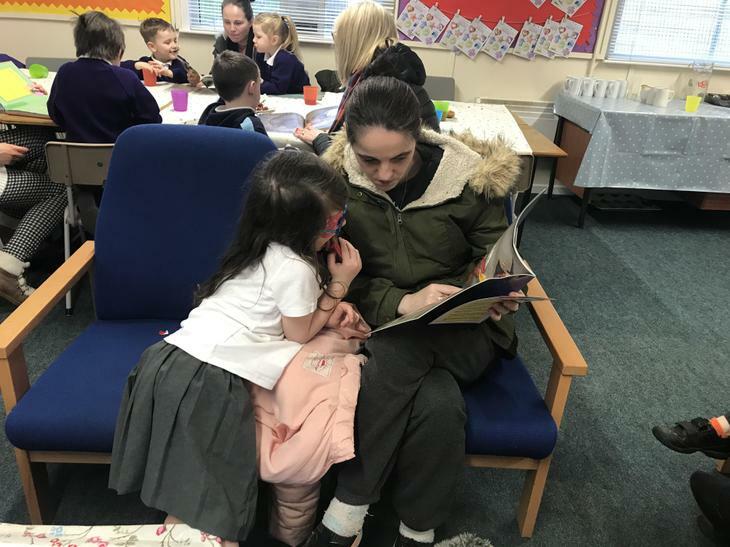 Families Connect Course (Save the Children) took place in Spring 2019. 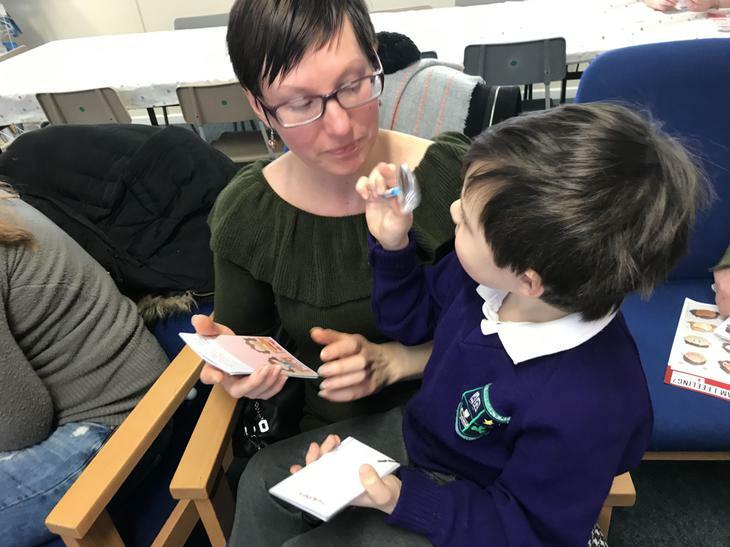 It was an 8 week course for p1 parents looking at Numeracy, Literacy and our emotions. 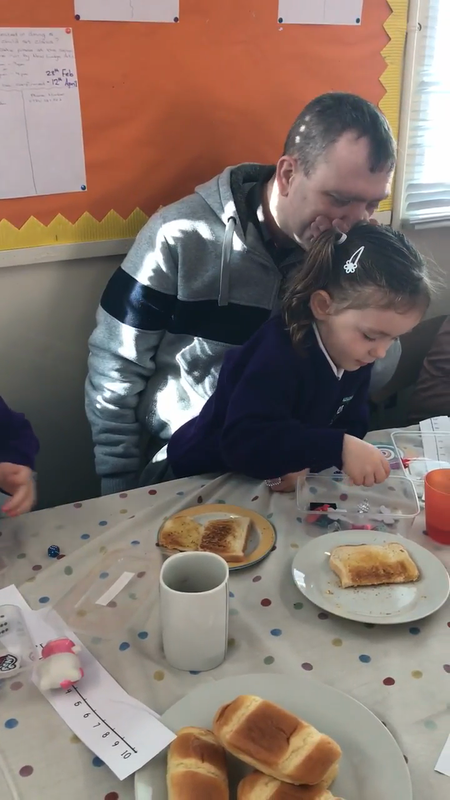 Parents took part in fun activities to support their child's learning at home. 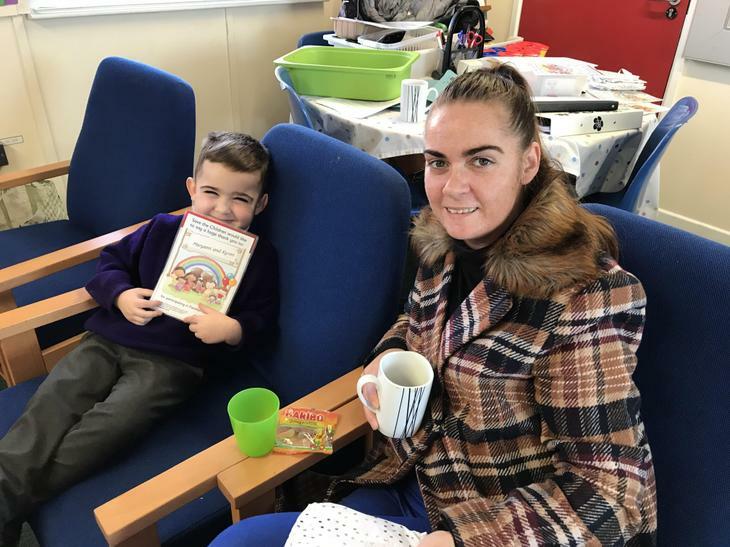 The children joined their parent every week and spent quality time with them. 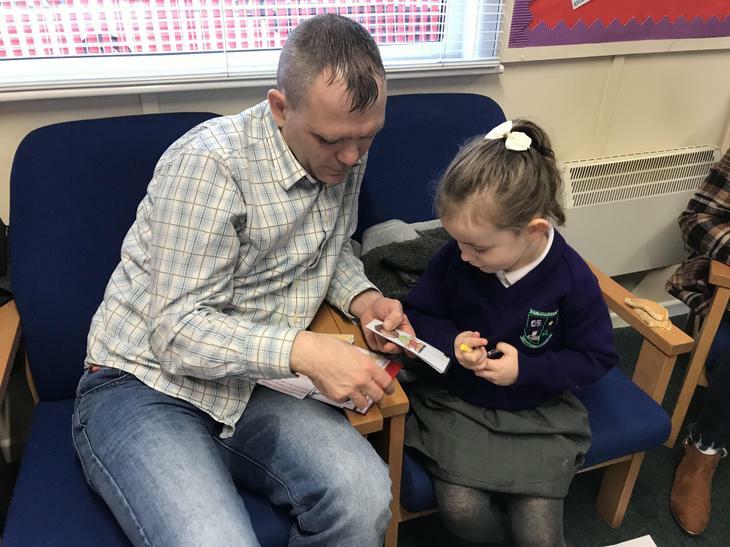 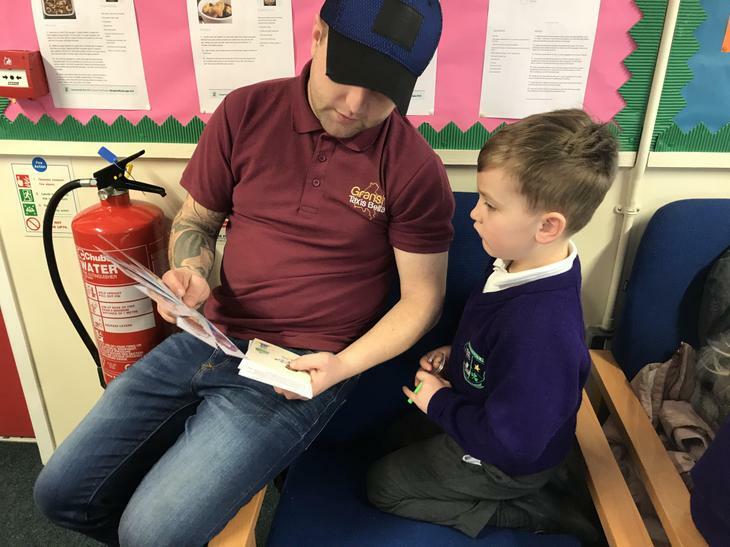 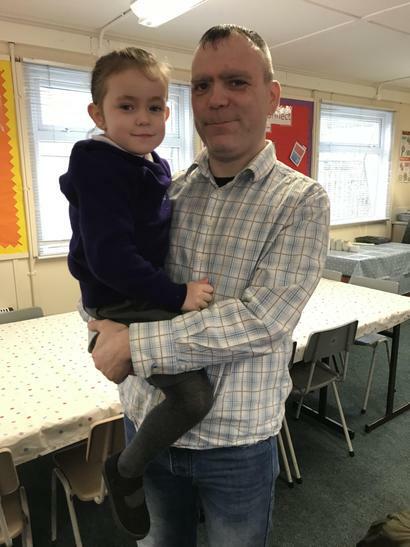 The children enjoyed knowing their dad or mum were in school learning with them. 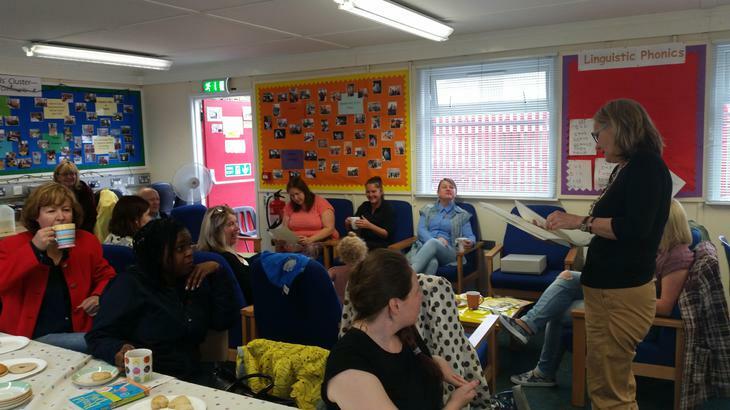 Congratulations to you all for completing this 8 week course! 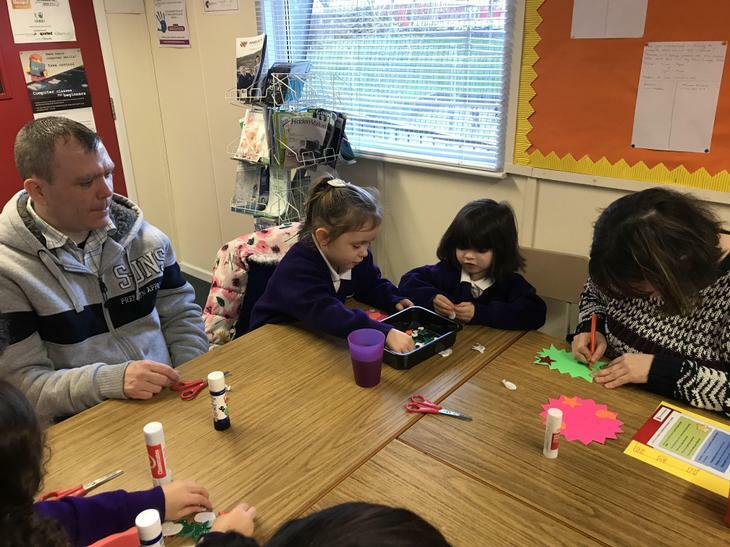 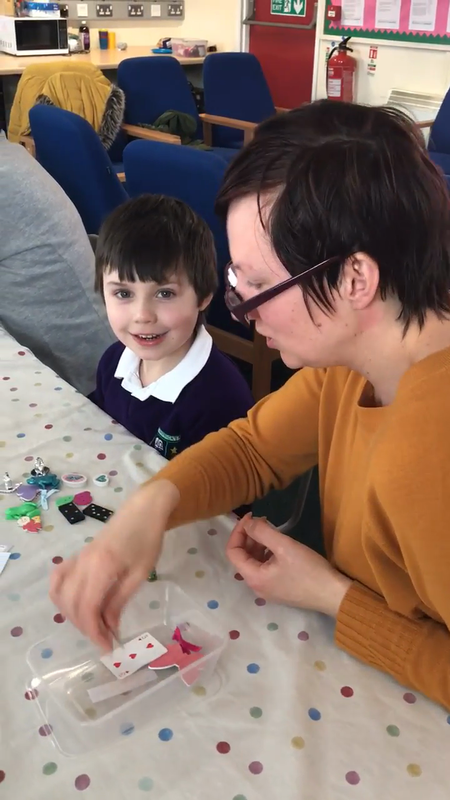 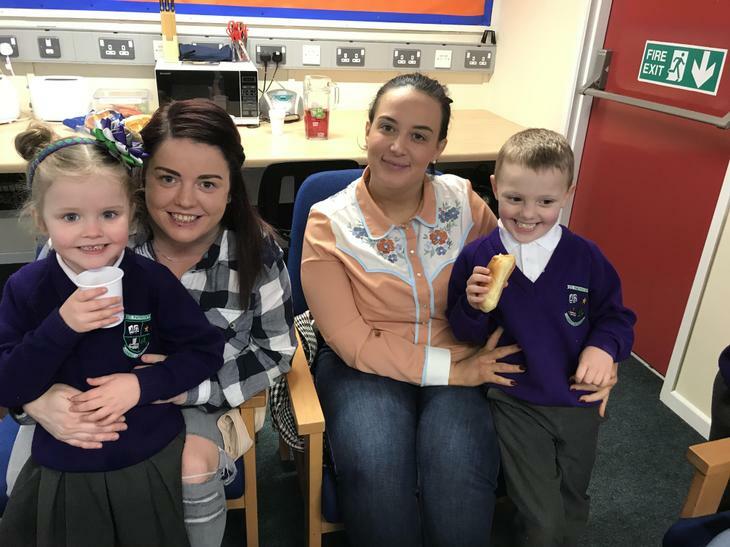 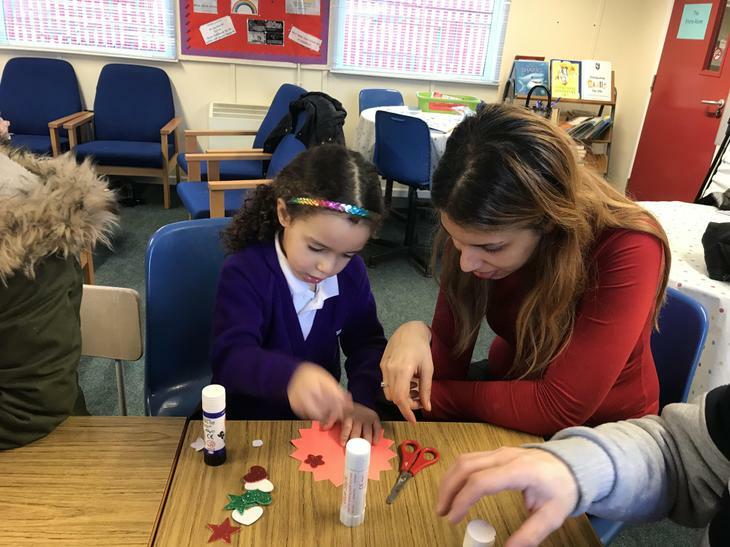 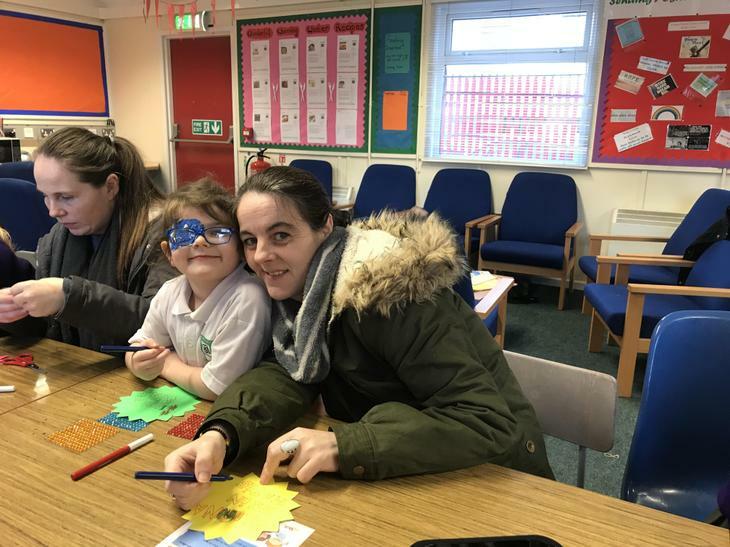 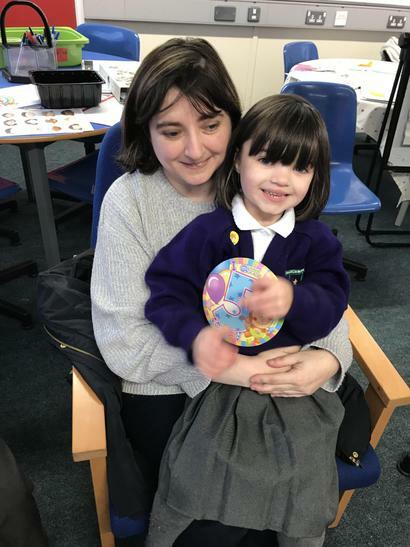 Families Connect for P1 Pupils and their Parents- we are having lots of fun!